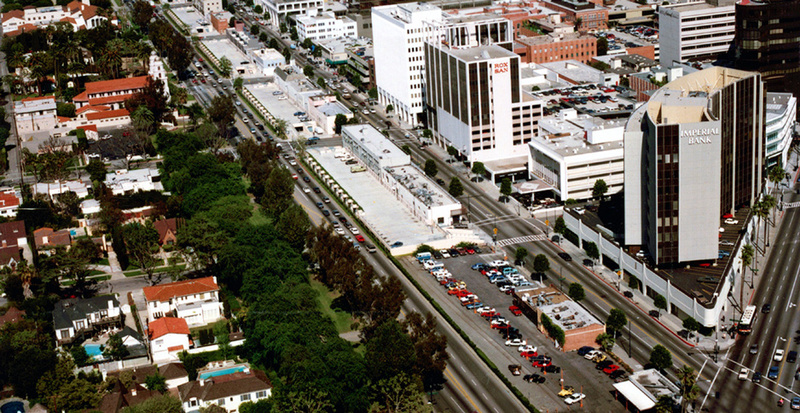 The project for downtown Beverly Hills linked with the City’s public parking effort and Gruen Associates’ award-winning Santa Monica Five Parking Structures. 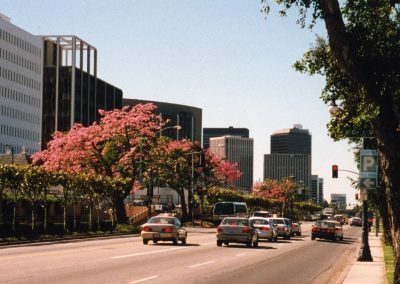 The program reinforced the City’s image as an international garden city and unified the shopping district to direct pedestrians through the commercial shopping area. 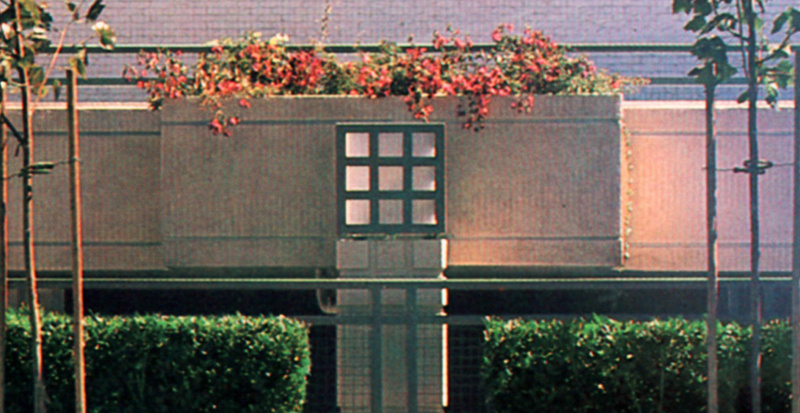 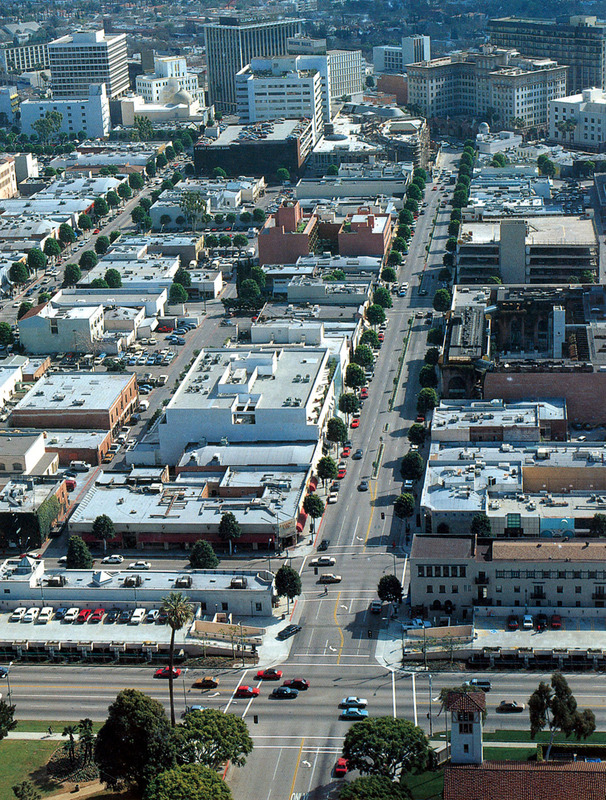 Three components were 1) short-term enhancements (signage, planters, flower boxes, pedestrian-scale lighting, tree grates, street furniture and special paving); 2) longer-term improvements as in the redesign of streets to increase pedestrian spaces and connection across Wilshire, municipal parking structures with restaurant courtyards, focal elements (fountains and sculpture), and gateway treatments; and 3) concerns for coordinated promotion, a balanced mix of uses and introduction of anchor uses, maintenance and special events. 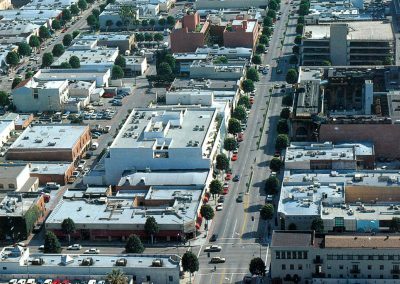 As a follow-up, Gruen provided complete architectural/landscape services for some areas and many projects on Wilshire and Rodeo Drive.